Having a kitchen remodel completed is the perfect way to update the look and feel of one of the most used areas in your home. Fortunately for homeowners in Ahwatukee, Arizona, and the surrounding areas, there’s one company that makes the remodeling process fun, easy, and stress free – Premier Kitchen & Bath. Our process is designed to flow smoothly and puts a huge emphasis on quality control. A comprehensive discovery meeting – This meeting takes place in our showroom and gives our designers an opportunity learn about the functional and aesthetic preferences you have for your kitchen remodel. This knowledge will be used as a base on which to craft your new kitchen’s design. Design meetings – The first of the design meetings will take place at your home in Ahwatukee, AZ, or nearby area. During this meeting, our designers will photograph, sketch, and measure your kitchen to gather information about the space. After all of the necessary information is acquired, our designers will present you with several design concepts and samples of products to be incorporated in your kitchen remodel during another meeting back at our showroom. Revision meetings – Premier Kitchen & Bath will schedule meetings as needed to ensure all the requirements of your remodel are met. Once you are fully satisfied with a design, we will create a fully documented, well-planned, fixed-price proposal. 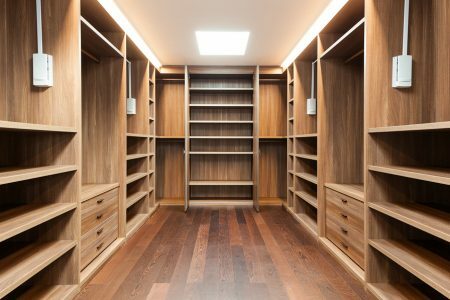 The build phase – Premier Kitchen & Bath has a team of experienced carpenters who are committed to the art of craftsmanship. Our team will complete your kitchen remodel with the utmost attention to detail, and we back this claim up with a five-year warranty package. 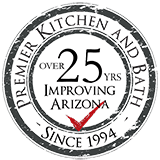 Contact Premier Kitchen & Bath today if you are interested in having a kitchen remodel completed at your home. We have proudly served homeowners in Ahwatukee, AZ, and surrounding communities since 1994.